Despite a long history in Harvey County, stories from the Black community have often been ignored. In recent years, efforts have been made to tell some of these stories – stories that often reveal painful events. The experiences of Black athletes at Newton High School in the late 1940s through the 1950s highlight the difficulties, pain and perseverance of several young men. The answers published in Our Journey: 50th Reunion Book NHS 1948-1998,” illustrated a community divided along painful racial lines with white student often unaware of the experiences of Black students. 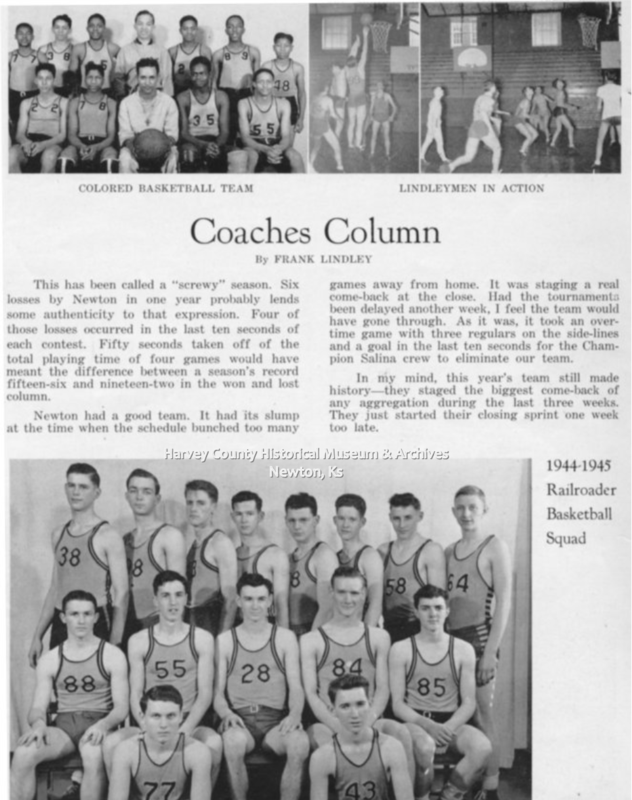 Some of the hardest stories revolved around the NHS basketball team and Coach Frank Lindley. While Lindley was coach at Newton High, 1914-1945, the men’s team was wildly successful with several state championships and undefeated seasons. 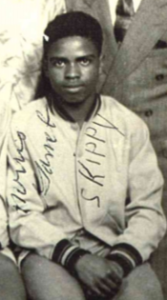 As coach of the high school basketball team, Lindley was insistent that only white students play on the team. 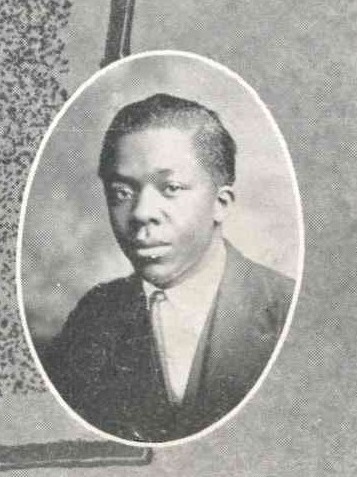 After he retired from coaching, Lindley continued as NHS principal 1923-1951. 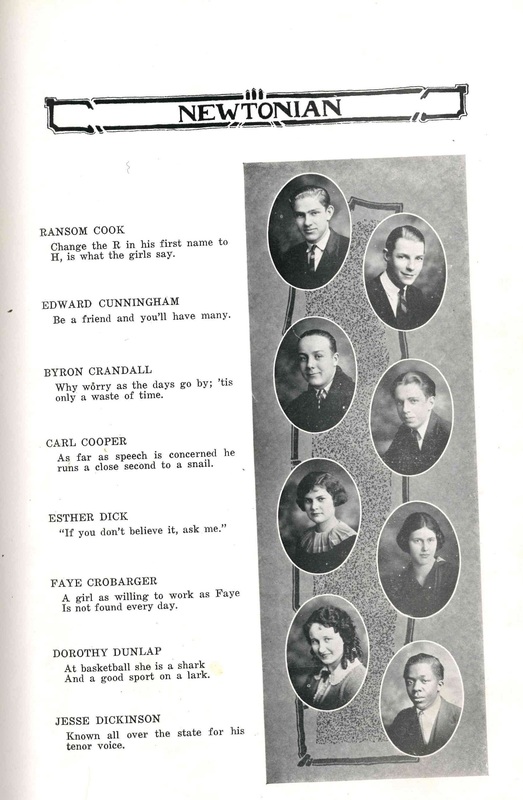 Page from the Newton High School Railroader, 1945. What was the experience of the Black athlete in the late 1940s? The stories returned to the reunion committee reveal deep wounds. Clifford Rickman, 1948 graduate from NHS, shared his experiences and thoughts from the late 1940s. “Unfortunately my memories of Newton High are not the same as yours. My memories are of the way African Americans were treated. The school board still has a building named after Coach Lindley, the biggest bigot . . . You were students just like me, but I thought maybe someone would wonder why some of us don’t come (to reunions) even after all these years. 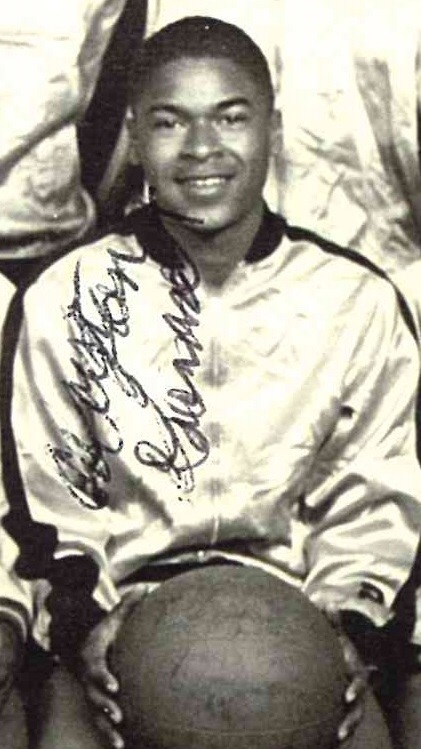 He recalled his experiences on the separate basketball team. 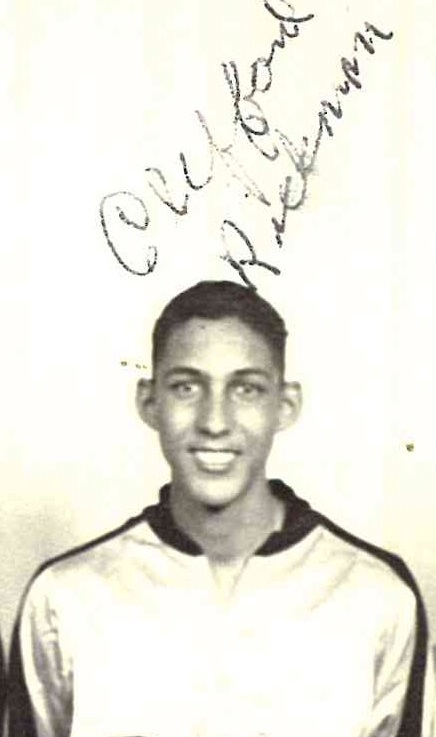 Another response came from Clayton Garnett, who also graduated in 1948. 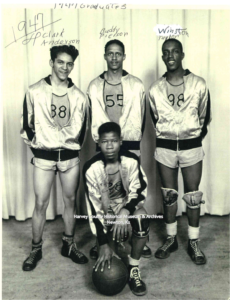 They were not allowed to play in the high school gym (Lindley Hall), except by special exemption. Other sports at NHS did not have these restrictions. Garnett recalled a conversation with the football coach. “I was asked by the football coach to come out to play on the football team because he saw how fast I was in the 100 yard dash during the Jr/Sr track meet. But since I couldn’t play basketball on the White team, I told him I would not play football on the White team for him. He also recalled restrictions at public places, like the movie theater and swimming pool. 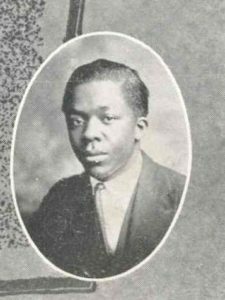 “What sticks in my memory with bitter clarity is the racial discrimination and racial prejudice we non-White students had to bear. 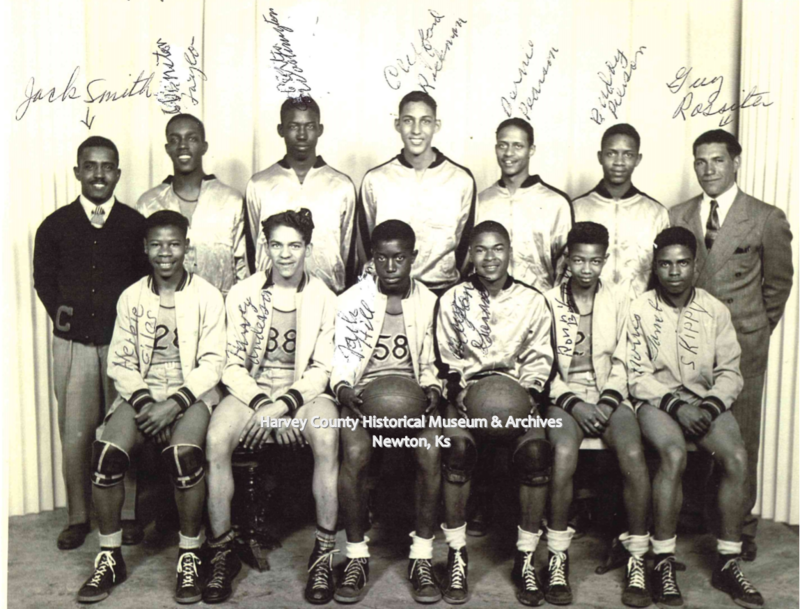 First there was the matter of the all-White Newton High School basketball team. In contrast, the response from the white former students reveals an unawareness of what the Black students experienced. 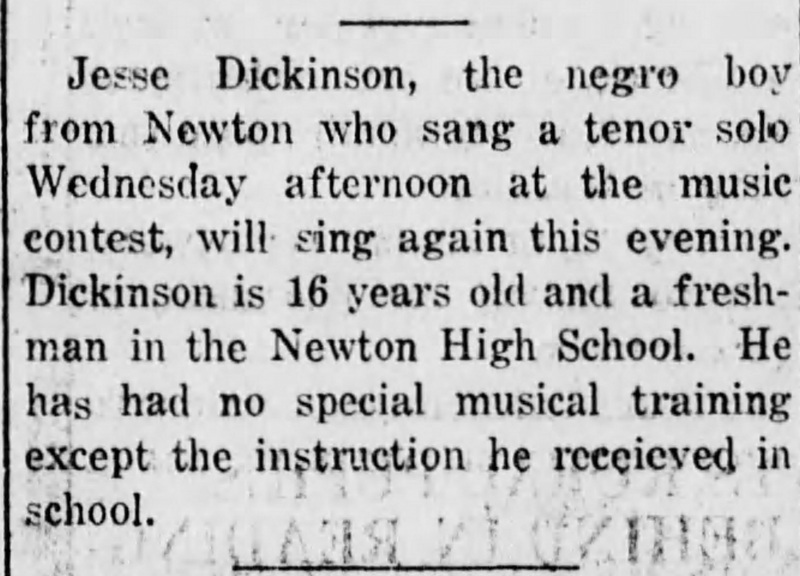 After Frank Lindley retired, things did change at Newton High School. Community change was also slow. 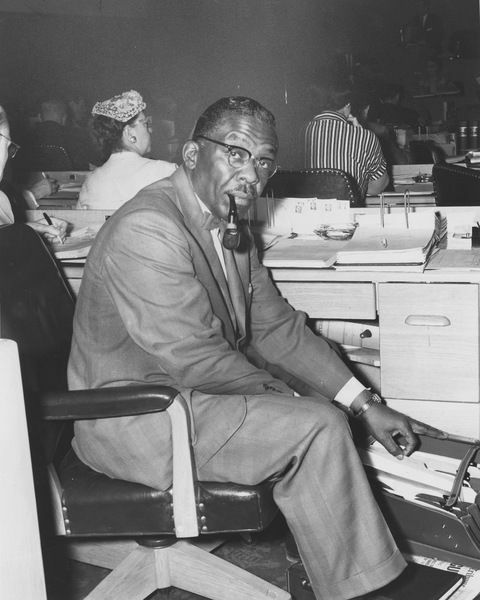 In a newspaper article for the 125th Anniversary of the Kansan, Judy Burks concluded; “Integration laws came. 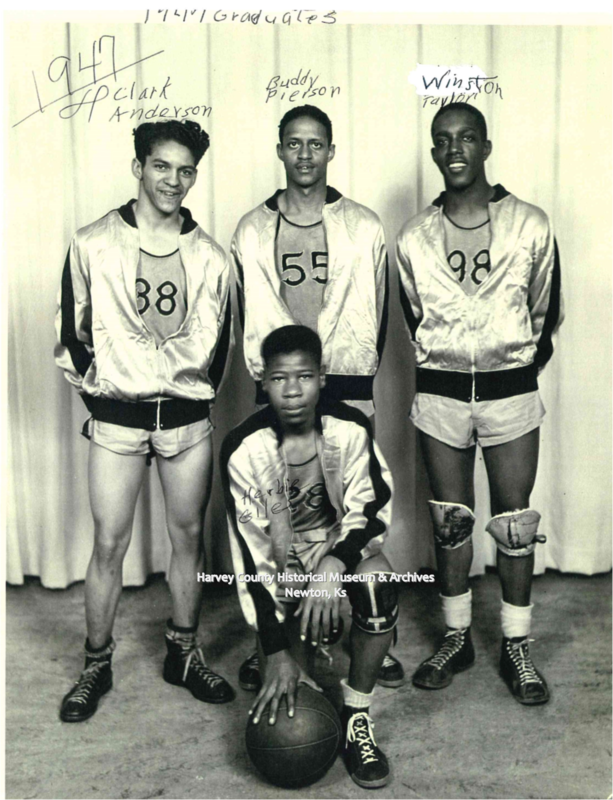 Minority students began to play on Railer basketball teams in new uniforms in stead of the discarded uniforms of white players.” Sadly, it was too late for gifted athletes like Clifford Rickman, Clayton Garnett and Norris D. Garnett. 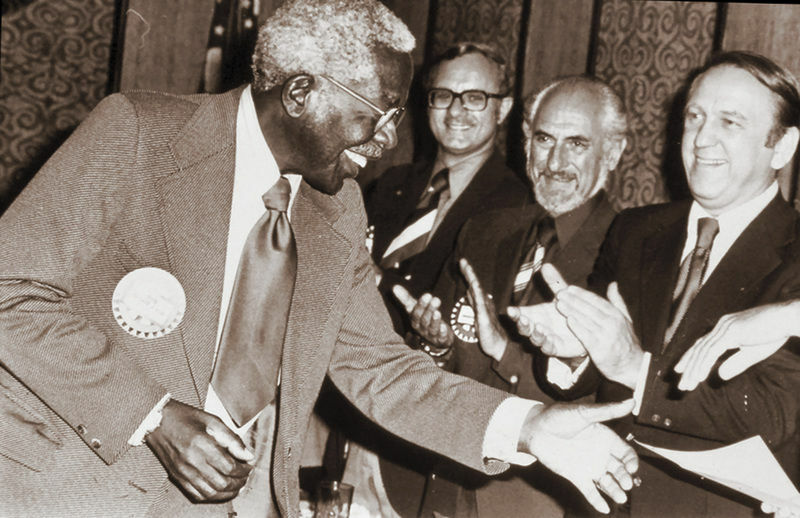 Willson, Norma Werner, ed Our Journey: NHS 1948-1998. 50th Reunion Committee, 1999. 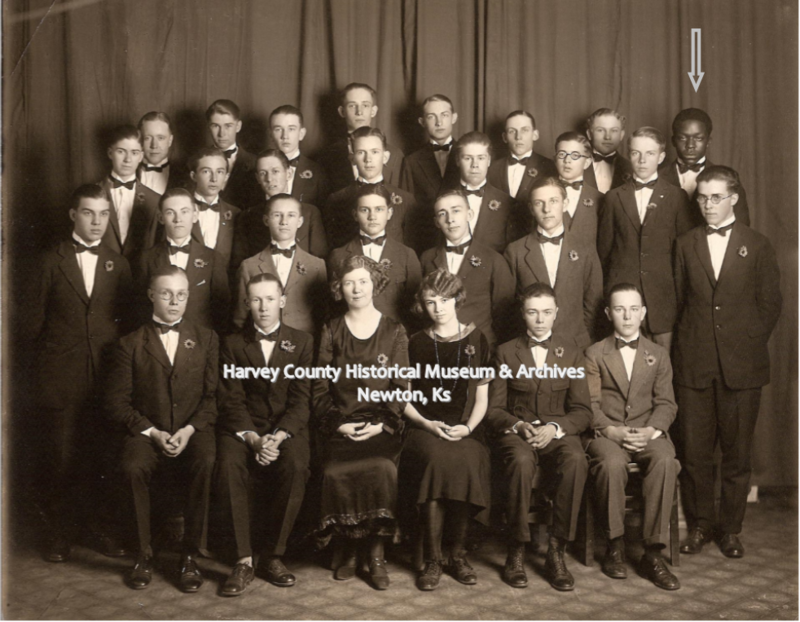 HCHM Archives, Newton, Ks. 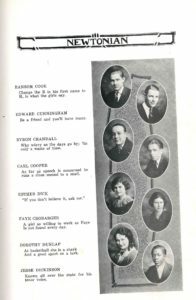 Newton High Class of 1949, Along the Golden Trail: 50th Anniversary Book of Memories. HCHM Archives, Newton, Ks. Burks, Judy. 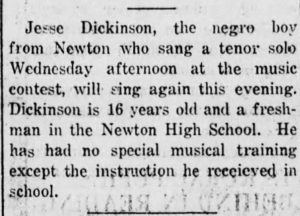 “On Equal Ground: Stories of Newton’s Black Settlers.” 125th Anniversary Ed of the Kansan, 1997.